Dr. Mehmet Oz says he "will not be silenced" by a group of 10 prominent doctors who are calling for him to resign from Columbia University. 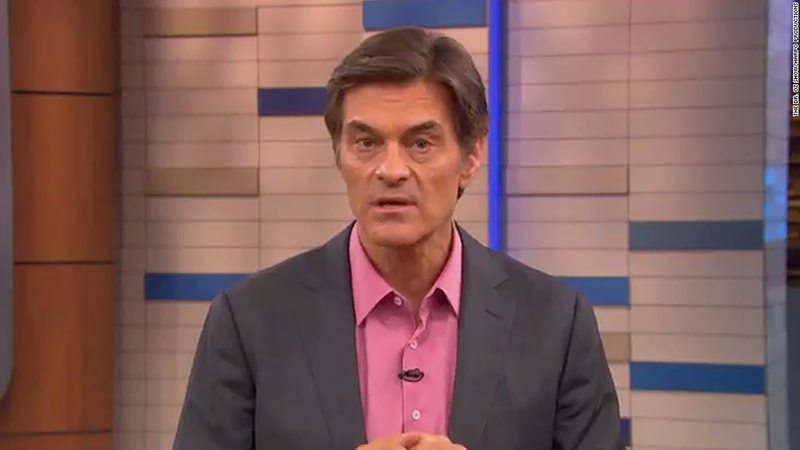 In a special episode of "The Dr. Oz Show" he taped on Tuesday, Oz — arguably America's best-known doctor — addressed the 10 doctors directly and accused them of trying to intimidate him. The episode will be televised on Thursday, but the show released a preview clip on Tuesday evening. "This month, we celebrate my 1000th show," Oz says in the preview clip. "I know I've irritated some potential allies in our quest to make America healthy. No matter our disagreements, freedom of speech is the most fundamental right we have as Americans. And these 10 doctors are trying to silence that right." He concluded: "So I vow to you right here and right now: we will not be silenced, we will not give in." About two-thirds of the episode will be devoted to Oz's rebuttal, according to a spokesman for the show. The doctors wrote to Columbia last week, challenging Oz's position as a faculty member at the university's college of physicians and surgeons and accusing him of "promoting quack treatments and cures in the interest of personal financial gain." The letter honed in on what the doctors called Oz's "baseless and relentless opposition to the genetic engineering of food crops." Some of the letter-writers have ties to the genetically modified food industry. Oz says he's not against GMOs, but promotes more thorough labeling of them. According to the spokesman, one of the overarching messages of Thursday's episode is, "I'm going to keep fighting for your right to know what's in your food." By preparing an on-air rebuttal, Oz is confronting the controversy head-on -- but also risking giving more attention to the doctors' assertions. Regular viewers of his show, about two million on an average day, presumably already trust him and may not need to hear his response. Thursday is, coincidentally or not, the start of the May "sweeps" season when television ratings are measured even more closely than usual. "Sweeps" matters a lot to the local TV stations that carry Oz's daytime talk show. After the episode airs on Thursday, Oz will follow up with a Friday interview on NBC's "Today" show.